The reception area of Be Ahead with Sustained Excellence (BASE), a prominent coaching academy in Bangalore, is a hub of activity. Two students are waiting to meet a teacher to clear their doubts; a few parents and students come in to check their results for the entrance exam to enrol in BASE. Some seemed happy, others seemed disappointed in the meantime a couple of parents wait with their child in tow, to speak to counsellors about their coaching options. It is summer – schools and colleges are not in session but some students are getting a head start. BASE is one of several organisations in Bangalore that offer coaching classes for the Joint Entrance Exam (JEE). JEE is the entrance exam for admission into the prestigious Indian Institute of Technology (IIT) and has a reputation for being one of the toughest competitive exams in India. For instance, this year 384,977 candidates appeared for the exam and only 10,035 candidates (2.6%) were eligible to seek admission in the IITs. (Source:JEE 2009 press note ). Given the stringent admission criteria, it is no surprise that most students start preparing for JEE after their 10th standard exams. That’s where the coaching academies come in. In Bangalore, depending on who you ask and based on research on the internet, the popular names one comes across are BASE, ACE (Academic Centre for Excellence), FIIT-JEE, and Brilliant Tutorials. Other academies such as the IIT Study Circle and Engineers Study Circle are available, in addition to individual tutors. To get a perspective on IIT-JEE coaching in Bangalore, Citizen Matters spoke to people from the coaching centres, and to students who wrote JEE. Typically, most students who take up coaching classes do so after they finish their 10th class exams. To gain admission into the coaching classes, students write an entrance exam, and they are admitted based on their performance in this exam. Once admitted, students attend classes several times a week and take regular tests over two years of the course. The interesting aspect of the coaching centres now is that they offer more than just coaching. Krishna Kant, Academic Co-ordinator of Brilliant Tutorials, says that midway through its two-year course, students are coached on memory techniques, time management strategies, and how to cope with the stress of preparing for the JEE. BG Purushottam, Head of Corporate Planning, BASE says that the institute adopt a particular mentoring mechanism. Their mentors keep track of students and help them if there are any problems. Students who want to drop out of the course are counselled (with their parents present) about their options and can shift to other programs within BASE. Dr. HN Subrahmanyam, BASE’s Head of Academics, says that the emphasis is on teaching students how to learn and on making the process of learning enjoyable and challenging. He adds that one-third of the class time is used for explaining concepts and the remaining is used for problem solving. “At BASE, we try to make the journey itself rewarding by encouraging students learn and then apply concepts”, Dr. Subrahmanyam says. Students enrolled at coaching centres not only have to worry about attending classes and writing exams at the centres, but also have to attend their college (Pre-University) or school (11th or 12th) classes and appear for school exams and board exams as well. Some centres, such as BASE and ACE, have tie-ups with a few schools and colleges to offer integrated programs. These programs align the curriculum for the boards with the JEE curriculum so the students’ load is reduced. In addition to the classes and exams, students must also spend time studying what they’ve learned. So, what stresses do students face? How are they able to cope? How do their parents support them? Citizen Matters posed these questions to few students who wrote JEE recently. Chaitanya K, a student of National Public School (NPS), attended the FIIT-JEE four-year program, starting from class nine. In retrospect, he believes that he shouldn’t have attended the program for four years, adding that peer pressure was one of the reasons for joining. Chaitanya says that it he found it hard to balance the work from the school and the coaching classes. He felt more stress towards the end because of the mock tests [from the coaching centre] and the board exams. Because his school had extra-curricular activities, Chaitanya felt that it was helpful in managing the stress. “Coaching classes give you a hard time because the question papers are tough and this can be discouraging. There is a mental barrier concerning the JEE and hype as well, probably because it is the first entrance exam that students have to face. But, guys who work hard do well,” Chaitanya says. Chaitanya was not happy with his JEE performance but believed that he would get a low rank. He ended up with a JEE rank of 4148. He said that he would probably end up studying at BITS (Birla Institute of Technology & Science), Pilani or NIT (National Institute of Technology), Suratkal. He has no plans to write JEE again. Harsha, a student of Kendriya Vidyalaya, attended the two-year course at ACE. He says that he was able to manage balance between his school and coaching centre because he feels there is an overlap of concepts to some extent. Far from feeling stressed, he says that he actually enjoyed the experience. He feels that the coaching at ACE supplemented by their notes was “more than sufficient”. According to Harsha, his parents expected him to perform well and were a “driving force”. He says that when he was going through the course, he sometimes felt it was tough but looking back that he’s happy with whatever happened. Harsha says that one should make an effort to make friends at the coaching centres because it makes life easier; otherwise, you feel left out. According to him, teachers are more interested in students getting through JEE than the students. One student who wrote the JEE but did not prepare a great deal was Suma Suswaram. She attended coaching classes in the 10th standard but found it difficult to manage and left after six months. Her only preparation for the JEE was after the board exams, which she concedes is not enough. She feels that one needs “two years of systematic coaching” to prepare for the JEE. Though she attended a CET crash course and wrote the CET, Suma is planning to study in the field of speech and hearing. Amit M. Warrier, a student of NPS, Rajajinagar, is in the enviable position of being able to choose which IIT to attend and which subject to study. His JEE rank was 78. Warrier, who studied at BASE, says that he was able to balance the demands of school and the coaching classes. Because he had to attend coaching classes only three days a week, he had the time to study on the other days. He says that the coaching classes moved at the same pace as the school and that made it easy to cope. During his preparation, he noticed that he had a problem with his Chemistry scores, which he puts down to a mental block. He said that a technique called the Emotional Freedom Technique, which is a self help technique, helped with Chemistry especially towards the end. His parents didn’t put any pressure on him to perform or forced anything on him. He felt some peer pressure from a fellow student but his father was able to provide sensible advice to help him handle the situation. He also explained that BASE handles students well citing the mentoring sessions (not mandatory) and reports on students’ progresses. He adds at BASE “they motivate you from the beginning”. P A Monteiro is a freelance writer and trainer. 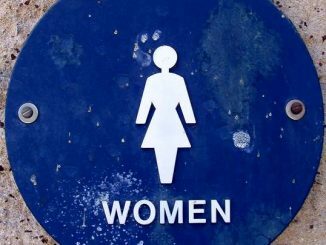 Toilet tales: The secret life of a Bengaluru girl! An exciting day out that promises a lot of interesting excursions and rendezvous around the city, and yet the Bengaluru girl may be worried. Here’s why! The BBMP may be on its own drive to paint the city walls, But here are a group of youngsters, working on street art. BASE at the end of the day is a business organisation whose main goal is to maximise profits. They make unverifiable claims about their ‘success’ and sell hard IIT JEE program to all and sundry saying ‘if’ you do well in IIT JEE you can do well in any competitive exams in the world. Confused students and busy parents(who just want to get done with decision making) fall into incorrect and biased counselling and pay up huge sums. Some times BASE also conducts entrance where most pass so as to swell admissions and income. Students (about 80%) who are not cut for IIT-JEE take this up under advise (“it is ok if you can’t climb some 500 steps; but with little efforts and coaching from us you have a fair chance of climbing Himalayas” is the type of talk everyone in BASE -from staffer to academic heads have been trained to deliver to unsuspecting students/parents). So dear parents/students: dont fall into BASE; dont go by their marketing talk; think hard; know your child’s capability and aspirations and then decide. A lot of what you get from BASE depends on the the teacher and you get bad teachers you will end up wasting your valuable time and money.Earlier we had good schools with no need for Tuitions; later schools became bad and out emerged tuition institutions; now tuition institutions beat the bad schools in being bad themselves. There must still be some good value driven tuitions/schools…Lucky are the ones who find them. Teaching methods rely on direct personal contact between the teachers and the students and the use of traditional and modern instructional techniques. FIITJEE ensures students live in a pleasant and intellectually stimulating environment with people having similar goals and aspirations. Srinivasan: Thanks. Handling pressure wasn’t the primary focus, so we didn’t focus on that topic. kaycee: I don’t think that the effort would be wasted since, like you say, you could always use the effort to get into other colleges. “Only 10000 were eligible to seek admissions to IITs out of 384,000 who wrote”. Indeed, it sounds like a wasted effort, for the vast majority. The irony is that more than 60000 of the 384000 are certainly more than above average performers by any yardstick & can damn well cut the mustard even at IITs. Unfortunately, the poor showing of 10k is due the fact that the capacity inadequacy of ‘quality’ seats have become alarmingly high, thanks to population explosion, while none other than Nehru (all Congress/BJP & other sundry nethas included) ever invested in education; leave alone ‘quality education’ as fundamentally they lacked the vision of Nehru who created “Institutions” in every field, to be occupied by later by political parasites & hangers on to do minor tinkering here & there & take credit for doing ‘service to people’. It indeed is possible to do cookie cutting to create good IITs many fold, if one had the vision, willing to give true autonomy to academicians & lastly as in US & other countries in the forefront of research, reward teachers for what they are really worth and not pay pittance, indeed be realistic about the fee one has to charge for ‘quality’! Despite such bleak chance of ‘getting into IIT’, I believe giving a sincere go at JEE, assisted by coaching classes & their ‘techniques’ improves analytical ability of students, be inquistive to ‘know’ the subject rather than rote learn, pick up other (non pure acad) skills like Time Management, prioritising, decision making, be not scared to venture into unchartered territory etc…all of which should secure a good course & college other than IIT, if one were to be > 10000 in All India Ranking of IIT JEE!!! A well rounded article. More tips on how to handle pressure would be good for students.